MOSCOW, July 14. /TASS/. 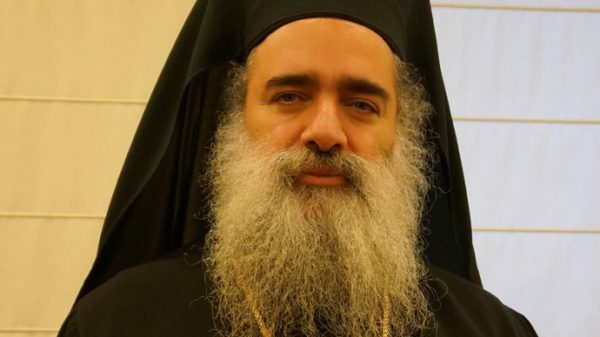 Meeting of hierarchs of the national Orthodox Churches, similar to the Council that was held on the Isle of Crete in June, should be held regularly so that they could resolve the pressing problems of the entire Orthodox world, the spiritual leader of Palestinian Orthodox Christians, Archbishop Theodosios of Sebastia told a news conference on Thursday. He said the meeting on Crete was obviously not the last one and it only marked off a certain reference point in communications among the various Churches. They might have differences of opinion, of viewpoints regarding clerical and administrative problems, but still he thought the heads of Orthodox Churches around the world had a duty to hold meetings in the spirit of brotherhood and to resolve all the problems arising in their way. He believes it would be inadmissible or the global Orthodox Christian community to admit a situation where the Councils would never be convened again. Archbishop Theodosios believes the need for a new Council is felt already now but irt should be convened in a different place. He said the convocation is needed shortly because the differences the Churches have failed to eliminate should be bridged over the short term. The archbishop said the Council on Crete was important but since the Russian Orthodox Church and some other Churches were absent from it, the task now is to put together a united front, since all of them represent one united and great Church that carries the message of love and friendship. Archbishop Theodosios said he hoped all the Orthodox Churches would play a weighty role in the events in the Middle East and Palestine. They should have a united position on the presence of Christians in the region and on the Palestinian problem, he said.